Cat Wall Art. Giclee fine art print of my cat painting entitled The Hunter. 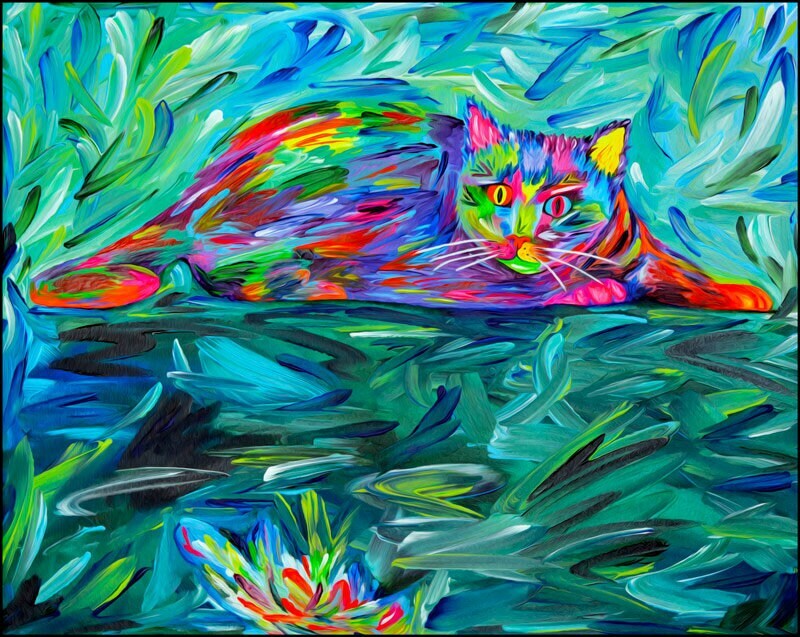 This colorful cat themed art print is an expressionist style pet portrait of my cat, Mr. Samadhi.